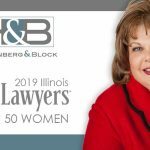 Welcome to Hoffenberg & Block, a full-service Chicago Family Law Firm serving clients from Cook, Lake, DuPage, Will and McHenry Counties in Illinois for over 45 years. At Hoffenberg & Block, we are dedicated to representing individuals with family law issues. We have extensive knowledge of family law and divorce court proceedings and are able to assist with even the most complex cases. Our lawyers take great pride in providing a high level of individualized attention to each of our clients. We take the time to fully understand your situation, provide an honest assessment of your options and advocate for the best possible outcomes at every step. 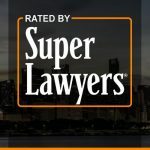 Looking for an Experienced Chicago Family Law Firm? With more than 100 years of combined legal experience, our skilled team of professionals is prepared to advocate for clients in even the most difficult of circumstances. We operate according to our firm’s philosophy – that if a case is prepared properly, it can be resolved favorably. We also are realistic and understand that sometimes cases cannot be settled. In that event, we are dynamic trial attorneys who will provide aggressive representation in the courtroom. When you are facing any matter of family law, it is very important that you have a skilled legal team on your side that you can trust and have confidence in. 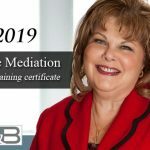 At Hoffenberg & Block we have shown throughout the years that we have the knowledge, experience and reputation necessary to provide our clients with the quality legal representation they expect and deserve. We have more than 100 years of collective legal experience that we are ready to put to work for you. We also understand how complex family law cases can be and we are dedicated to helping our clients to protect the best interests of themselves and their families. 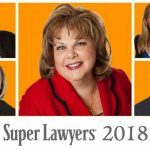 Why Hire a Skilled Chicago Family Law Attorney or Divorce Lawyer? One of the first, and most important, decisions you will face is choosing the right family law firm to guide you through the difficult process you are about to experience. 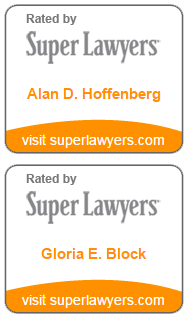 Having served clients since 1967, the attorneys at Hoffenberg & Block are uniquely qualified and have the skill, knowledge and experience to ensure the full protection of your legal rights. We handle matters with compassion and sensitivity to minimize the impact on you and your family. Our primary goal is always an attempt to negotiate a settlement. If a settlement can be reached, it is more likely to preserve an amicable relationship between the parties involved. If this strategy is successful, it minimizes the emotional stress, as well as significantly reducing the overall financial impact. We believe that cases can be effectively managed if everyone maintains realistic expectations. However, we have the experience and familiarity with all northern Illinois Courts to stand ready to aggressively take your case to trial if other options fail.